No-one likes subtitles: Sub-standard movies. 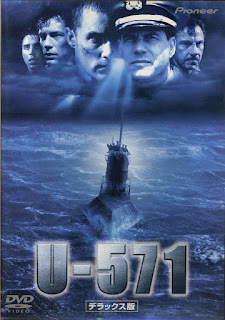 Has there ever been a bad submarine film? The thoughts in the office are that, no, there hasn't. 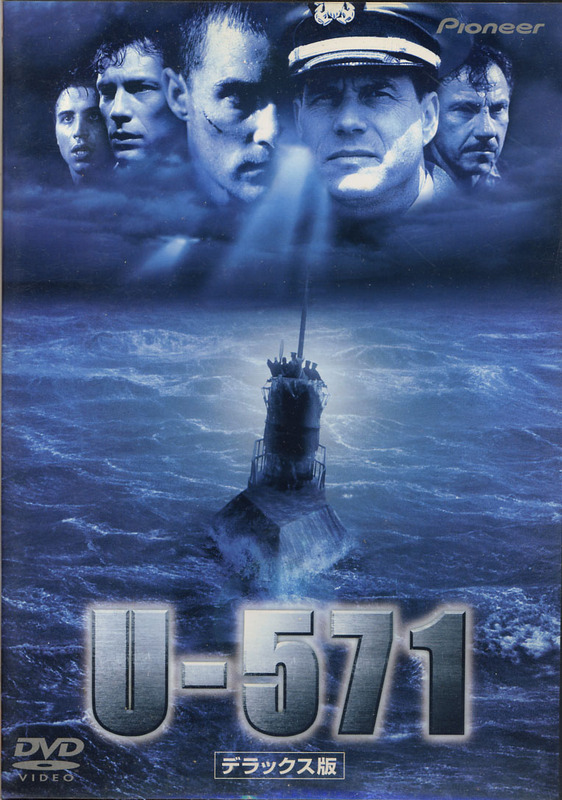 I'm not convinced I agree with this as I was unfortunate enough to have paid good money to watch U-571, and if you've you've seen Jon Bon Jovi in any movies you'll know how well that one plays out. But that aside, it's a sub-genre (see what I did there?) that has a very high hit rate of great movies attached to it. Not even Harvey and Bill could save this one. Maybe it's something about the inherent tension in films where the inhabitants are constantly in peril, where every move could spell disaster. Where silent running is as important as action, and where there's no end to the tense enjoyment gleaned from watching close-ups of sweating men staring upwards praying that water won't pour through a crack in the ceiling at any moment. 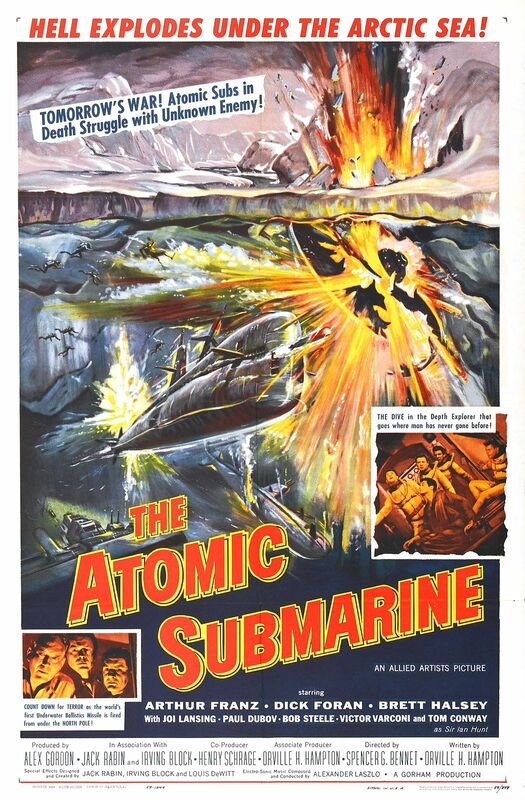 Films with submarines are tense enough at the best of times. And what elevates these films to greater status is the addition of a bit of conflict. If you combine submarines and war then you've pretty much got a nail-biter of a movie on your hands. There's something delightfully terrifying about listening to the pings of a sonar readout as the shadow of an enemy battleship passes overhead. And when the external threat gets too much, well there's little better than working out if there is a saboteur onboard who could scupper it all at any moment. And the beards. By God the beards! It's not a submarine movie if the entire crew haven't got a face full of fuzz by the end of the first act. There's always that one radio operator who somehow manages to stay clean shaven, but the rest of the crew look like they decamped to Shoreditch for the duration of the movie. Combine that with roll-neck sweaters and pea jackets and you're suddenly watching a film that is bang on trend and giving you inspiration for your latest winter fashion look-book on Pinterest. Here's Jurgen knocking the autumn-winter collection out of the park. And then there's the camaraderie. Submarine war films all have a subtext. Men, in an enclosed space, working together against the odds with nothing but their ingenuity to get them through. Cut off from the rest of the world they fight a shadow war from beneath the waves. In the best examples this is turned into a noble dignity where the submarines and their crews resemble sharks beneath the ocean picking off their unsuspecting prey. Coming up for air every so often risks being attacked by hunting packs of battleships and frigates. 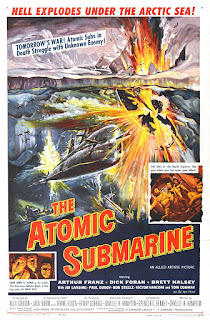 If you do a quick Google search there have been hundreds of submarine movies. Below are my favourites, and they're not all war films. Crimson Tide - It's Gene "born old" Hackman versus Denzel "never been in a bad movie yet" Washington in an ego driven undersea drama. Minus points for the "You have to be my Scotty" moment (thanks very much Tarantino). The Hunt For Red October - Sean Connery plays a Scots/Russian submarine commander attempting to defect to the west. Or is he? Only Alec Baldwin can find out. 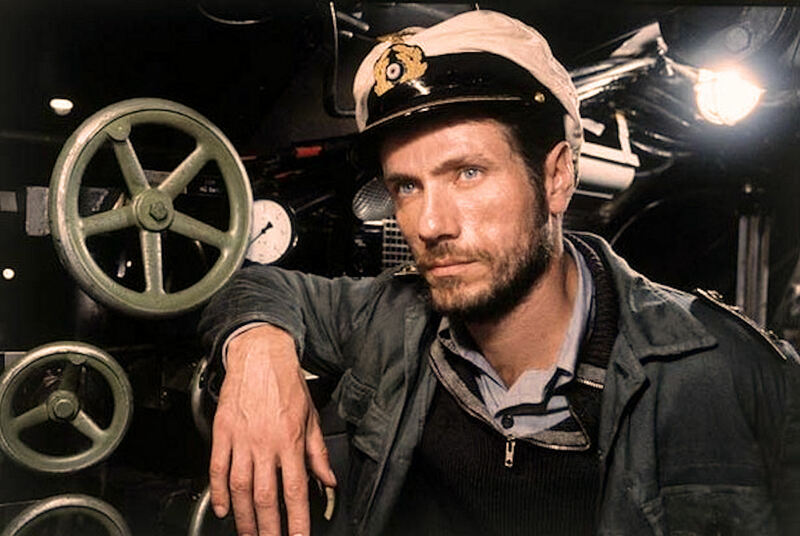 Das Boot - Jurgen Prochnow has the beard, the jumper, the pea coat and the hat (because he's the Captain). The Life Aquatic With Steve Zissou - Wes Anderson and Bill Murray team up again in surreal submarine movie. The Abyss - James Cameron's underatted classic. Close Encounters of the underwater kind. There is one film that was mentioned to me today by Davydd that could take this genre off the charts. It's called The Atomic Submarine. No-one has seen it but judging by the poster it looks amazing. Submarines and UFO's? That's got to be a winner right? Sub vs UFO. Sub wins! Let me know if there's a submarine movie you think I've overlooked. I'd love to hear about it.